The Hurricane submersible aerator’s 360-degree radial mixing system incorporates new, unique air diffusers for high oxygenating efficiency and thorough mixing over a wide area. The Hurricane air diffuser’s updated design simplifies assembly with fewer parts and increases performance life with only one moving mechanism. The self-contained system ensures an inexpensive installation process and requires no additional pumps, mounting platforms, or compressors. The rotating impeller draws atmospheric air into the inlet piping, combining it with the water and expelling it at high velocity. Reaching depths of 24 feet, the Hurricane aerator delivers high oxygen transfer rates and considerable energy savings. The Hurricane operates at greater depths with blower assist. Specially designed impellers allow operation as either a mixer or an aerator/mixer by valving off the air inlet pipe or by changing the water depth in the basin – perfect for sequence batch reactor applications. Fluence manufactures the entire impeller and stator from one piece of 17-4 stainless steel hardened to Rockwell 45 HRC, creating greater abrasion resistance. Positioned within the stator, the impeller is balanced for minimal vibration and maximum chopping action to crush solids. The stator can be switched out without having to replace the entire aerator assembly, making upgrades simple. We’ve designed the Hurricane aerator with a minimum of moving parts for reliable oxygen transfer and basin mixing. Deployed at the bottom of a tank or basin, the integrated submersible electric motor rotates a solid 17-4 stainless steel impeller to generate a low-pressure zone around the impeller blade tips. The pressure differential created between this low-pressure zone at the bottom of the tank and the air at the wastewater’s surface forces air down a stainless-steel inlet tube into the Hurricane’s central stator assembly. The close impeller tolerance and stator assembly are used to soften grit and other solids in the wastewater, making the Hurricane ideal in high-solid environments. In the stator, surface air and water mix through the rotation of the impeller and the turbulence it creates. High oxygen transfer also occurs in the stator assembly due to the break-up of air into tiny bubbles. The high surface area-to-volume ratio of these little bubbles promotes high oxygen transfer into the wastewater, further enhanced by the high distortion of bubble surfaces by the turbulence of the stator. The Hurricane expels the oxygen-enriched combination of air and water at a high velocity from the central stator assembly through radial diffuser tubes to deliver oxygen throughout the basin floor. As the air bubbles rise from the bottom of the tank, further oxygen transfer takes place until the bubble release pattern thoroughly mixes in the reservoir with intense agitation. The completely submerged operation of the Hurricane aerator/mixer eliminates splashing, minimizes the generation of hazardous aerosols, and promotes stable biological treatment even in the coldest climates. How Can We Help Your Operation? Lease units are readily available as a quick backup for unforeseen conditions, if your capital budget is limited, or if you would like to evaluate a unit in your particular application. Whatever the reason, if you decide to buy your leased equipment, you’ll get a generous credit for your lease payments. At Fluence, our applications engineers are devoted exclusively to helping treatment plant operators, consulting engineers, and contractors worldwide. With decades of expertise and best-in-class aeration and mixing technologies, our experts can help you find the right aeration and mixing solution for your unique challenges. Contact Fluence for more information about the Hurricane Aerator/Mixer, leasing requirements, or to obtain a quote. 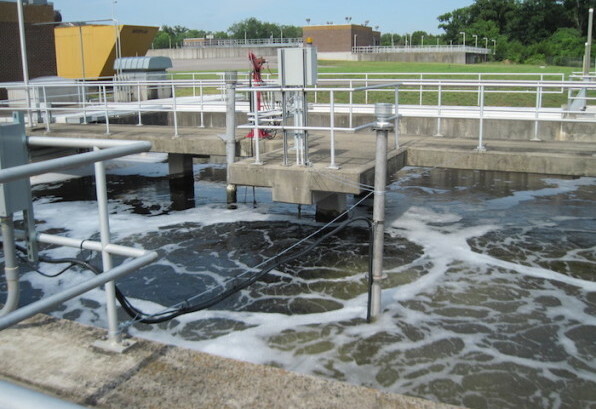 Contact Fluence to learn more about our wastewater treatment solutions, or to discuss your specific project details.